Sharing this among your science minded set would be GREATLY appreciated. 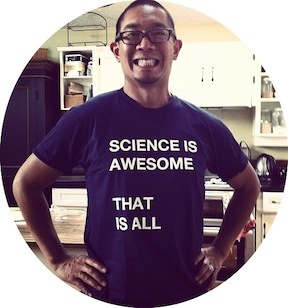 Every extra client means being able to deliver more (free) science outreach programming for kids. 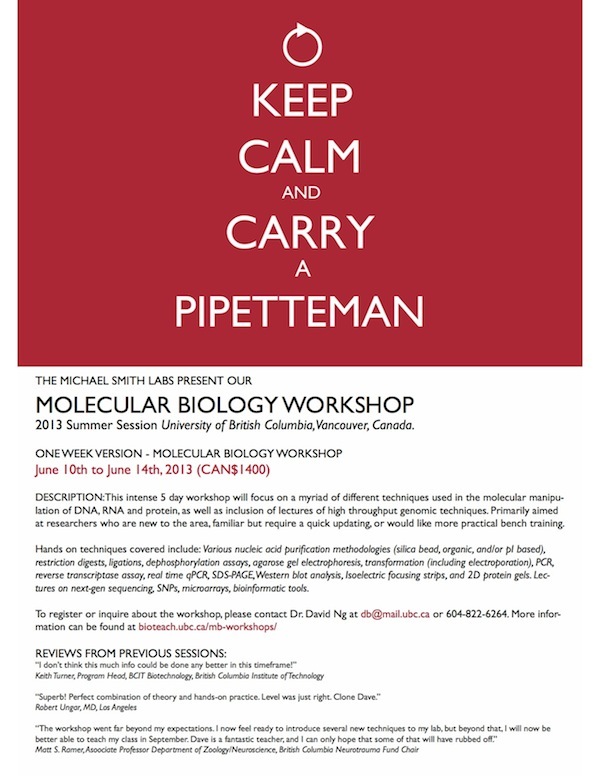 Once again, my lab is pleased to offer our popular Molecular Biology Workshops for those who wish to get quick, professional, theoretical, practical (and enjoyable) training in the fine science of molecular techniques. Our next one is scheduled for June 10th to 14th at the University of British Columbia, in beautiful Vancouver. Although, this workshop is primarily designed for the professional life science researcher (graduate students, post-docs, faculty, industry, etc), we’ve also had great reviews from folks in fields as diverse as education, journalism, economics, politics, law, engineering, and computer science. Cost is $1400 (discounts for group rates) for the 5 day workshop, where all funds go toward our various outreach activities. These include a menu of different field trip programs, our online projects (such as Phylomon), as well as our university undergraduate initiatives – more details about our outreach programs can be found at bioteach.ubc.ca. Note that we keep all of these initiatives free for the schools and general public!